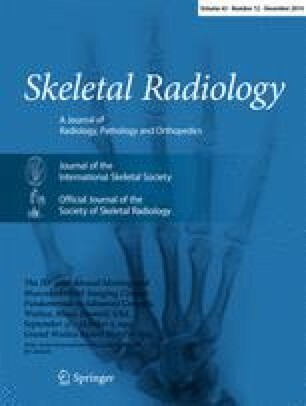 The aim of this study was to evaluate a prototype correction algorithm to reduce metal artefacts in flat detector computed tomography (FDCT) of scaphoid fixation screws. FDCT has gained interest in imaging small anatomic structures of the appendicular skeleton. Angiographic C-arm systems with flat detectors allow fluoroscopy and FDCT imaging in a one-stop procedure emphasizing their role as an ideal intraoperative imaging tool. However, FDCT imaging can be significantly impaired by artefacts induced by fixation screws. Following ethical board approval, commercially available scaphoid fixation screws were inserted into six cadaveric specimens in order to fix artificially induced scaphoid fractures. FDCT images corrected with the algorithm were compared to uncorrected images both quantitatively and qualitatively by two independent radiologists in terms of artefacts, screw contour, fracture line visibility, bone visibility, and soft tissue definition. Normal distribution of variables was evaluated using the Kolmogorov–Smirnov test. In case of normal distribution, quantitative variables were compared using paired Student's t tests. The Wilcoxon signed-rank test was used for quantitative variables without normal distribution and all qualitative variables. A p value of < 0.05 was considered to indicate statistically significant differences. Metal artefacts were significantly reduced by the correction algorithm (p < 0.001), and the fracture line was more clearly defined (p < 0.01). The inter-observer reliability was “almost perfect” (intra-class correlation coefficient 0.85, p < 0.001). The prototype correction algorithm in FDCT for metal artefacts induced by scaphoid fixation screws may facilitate intra- and postoperative follow-up imaging. • Flat detector computed tomography (FDCT) is a helpful imaging tool for scaphoid fixation. • The correction algorithm significantly reduces artefacts in FDCT induced by scaphoid fixation screws. • This may facilitate intra- and postoperative follow-up imaging. One author (BS) is an employee of the vendor of the prototype algorithm, but had no influence on the measurements and results of this study. The other authors had full control of the data and declare no conflict of interest.